It has been an absolute pleasure working with Kristen. She is very knowledgeable of the market and was immensely helpful to this New Yorker who is trying to get acclimated to the area. She was honest with her advice and opinions and it truly helped as it can be quite overwhelming when you are looking at many different properties. 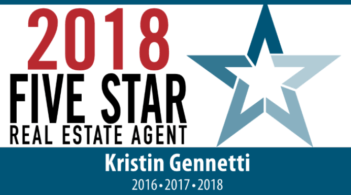 She provided me with financing, surveying and other contacts who all proved to be as efficient and hard working as Kristen. Whether I will sell or buy another property, Kristen will be my realtor.